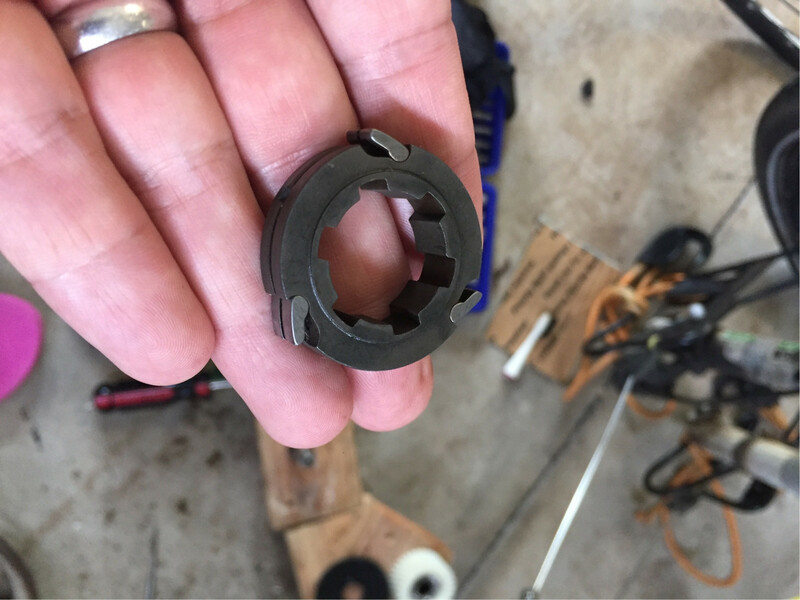 I am completing the rebuild of a BBS01 electric bike mid-drive motor from Bafung. Would like to lubricate and protect every part properly before reassembly. Should I lubricate the clutch and if so with what lubricant? I have read concerns about slippage in a lubricated clutch. Thanks in advance! 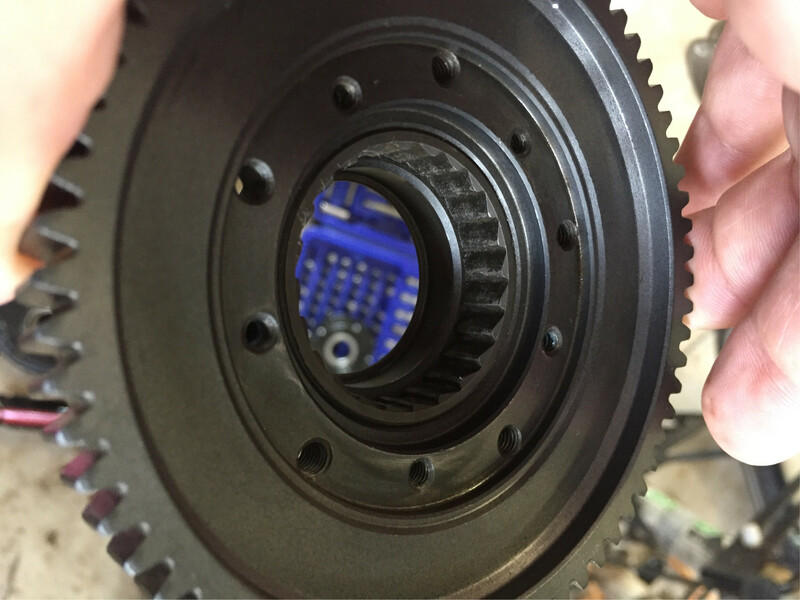 Not sure I'd call that a clutch.... ;) More a freewheel. 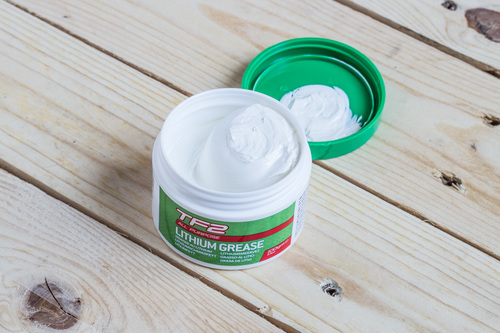 I have done jobs like this in the past, and I found using a Lithium Grease (very thin, textured a bit like facial cream) works great, so long as you only line it on the teeth. On the one I had, however, it had a seal which meant there was no way the grease could get out. Something important to note is that, if you DO have one of these with a seal on them, don't competely fill it with grease. Where you have moving parts, you want a void and a way for it to 'breathe', otherwise the seal will physically pop. You want more air than grease; Air is compressible, grease (classed as a liquid) is not. If it's not sealed, only a very thin layer. It's purpose is to keep it lubricated and to keep the teeth themselves clean and not directly contacting metal-on-metal, a bad thing in an electric motor which moves very fast under heavy load. 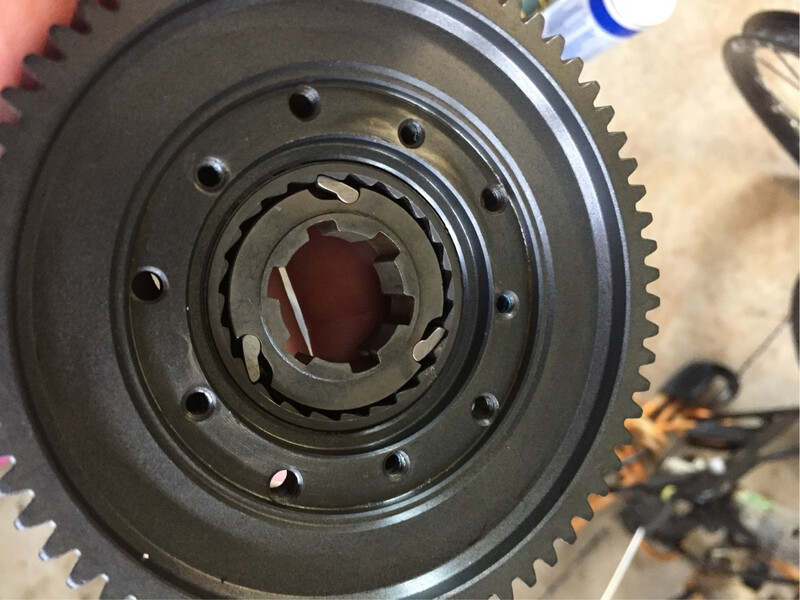 If you use too little, the gears will chew each other up, making what little grease there is turn into a grinding paste. Too much grease, and it'll start blurting out of the side, onto other vital, expensive components. Not the answer you're looking for? Browse other questions tagged electric-bike commuting-bike or ask your own question. What type of bicycle parking rack should my company install? Should I consider buying a velomobile as my daily commute vehicle instead of a bike?